OK, so all had pluses and minuses. 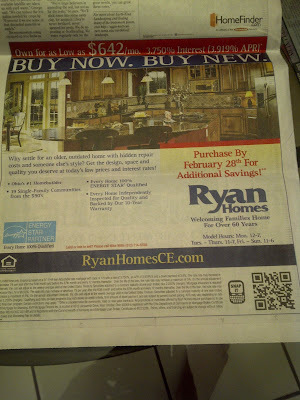 The Ryan homes QR code led to a web site customized to the newspaper in which the ad was running i.e. 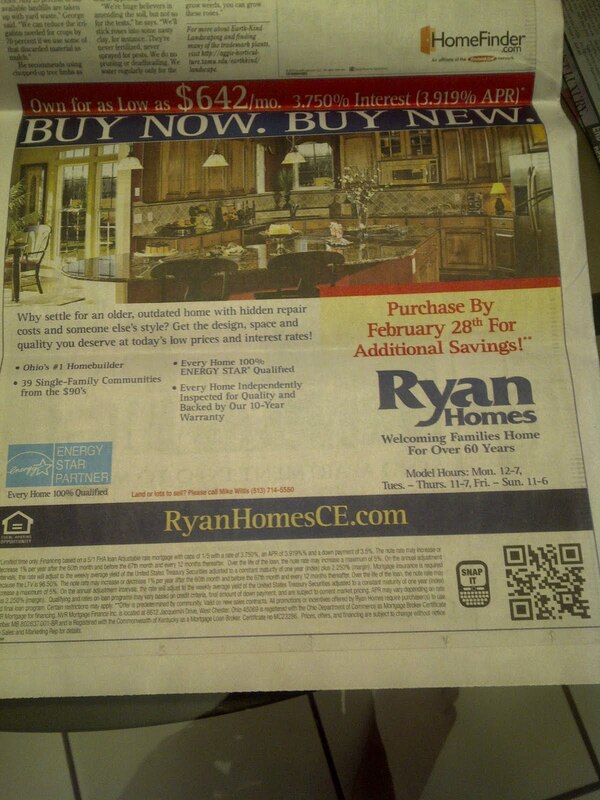 it ran in the Cincinnati Enquirer and thus the web site that was served up was Cincinnati-specific... 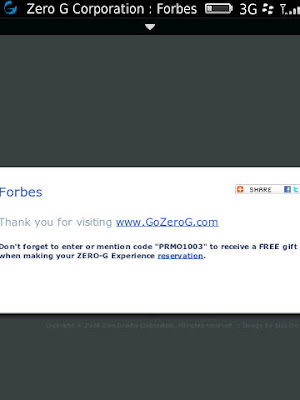 However, looking at it, it was not fully mobile-optimized... while it displayed OK, it was much too "busy" to do a good search on a small phone screen... 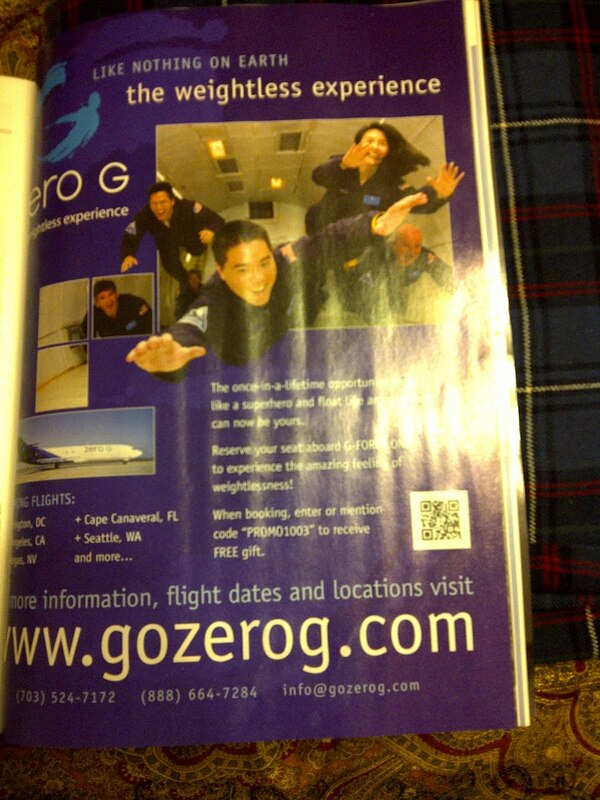 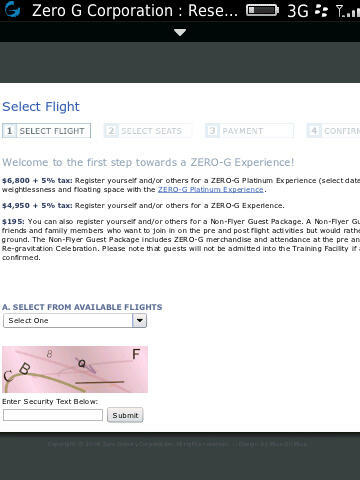 Meanwhile the Zero G QR code resolved to http://www.gozerog.com/forbes, which gave you a promo code and directed you to the "regular" Zero G web site. 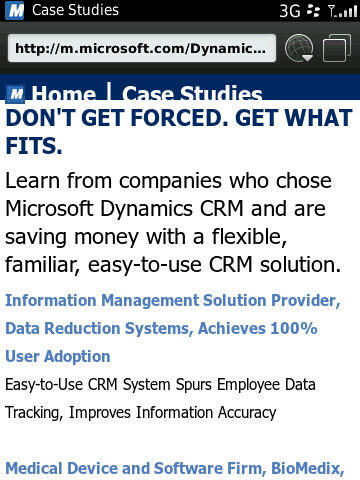 However, neither of these were really mobile-optimized (as can be seen below). 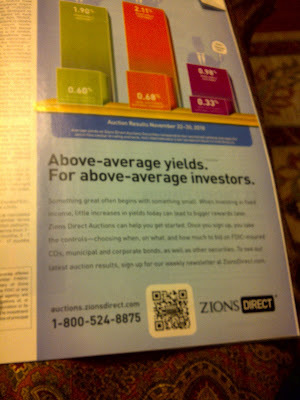 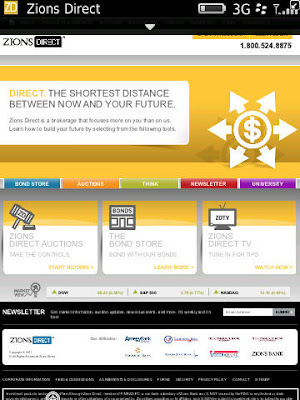 Finally the Zions Direct site also seemed too "busy" for the small real estate of a mobile phone... An 'A' for effort, but closer to a 'C' for execution for all three efforts. 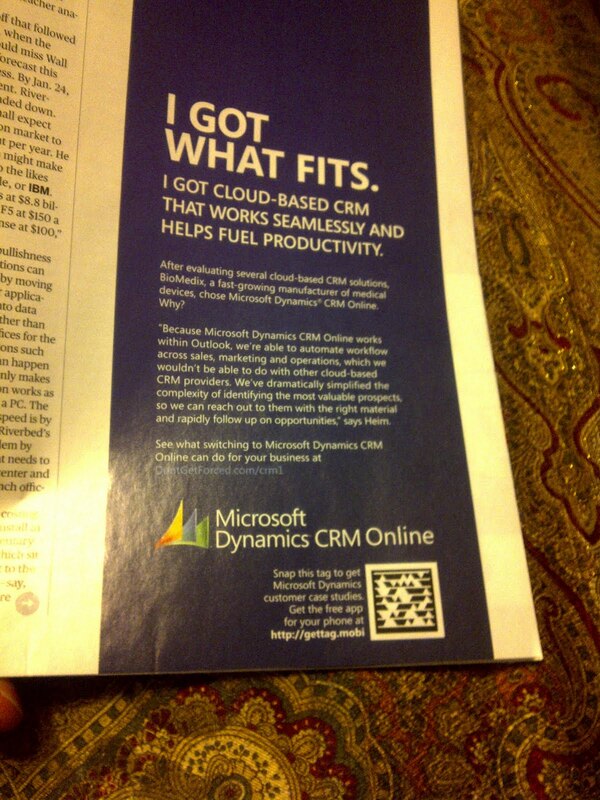 Next up, a couple of (proprietary, and non-QR) MicroSoft Tag examples... one from MicroSoft (not surprisingly they eschewed using QR codes in favor of using their own format), and one from Forbes itself. The MicroSoft 'MicroSoft Tag' site was nicely optimized, for a good implementation. 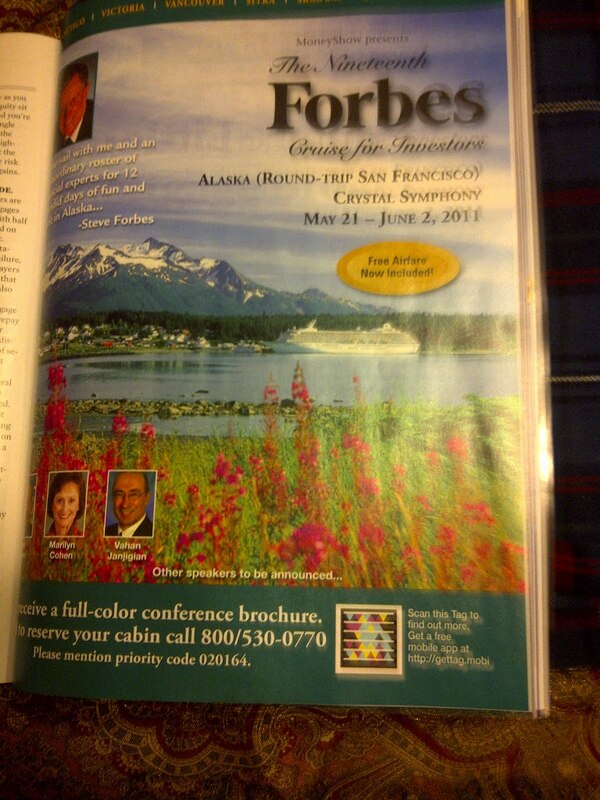 The Forbes QR code was on an advertisement for a cruise Forbes was putting on for investors. 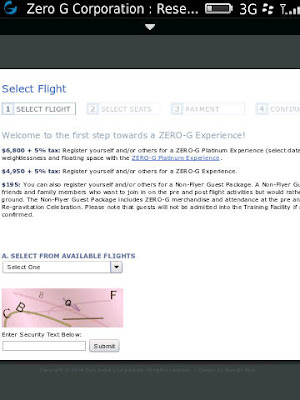 It resolved to an 800-number, and the user was prompted to call the number for more information... I'm not really sure if this was a good use of a Tag - the number to call was already a prominent part of the advertisement, while the text accompanying the Tag said "Scan this Tag to find out more." 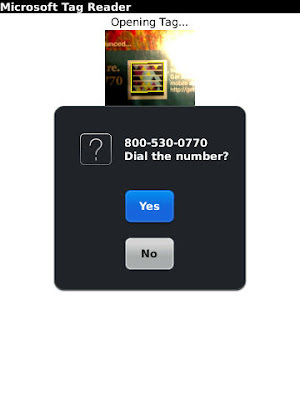 As an end user I'd find it annoying to take the time to scan the code only to find that all it did was provide the phone the identical number to call. It certainly would be simpler and quicker to just dial the 800 number... A poor implementation.